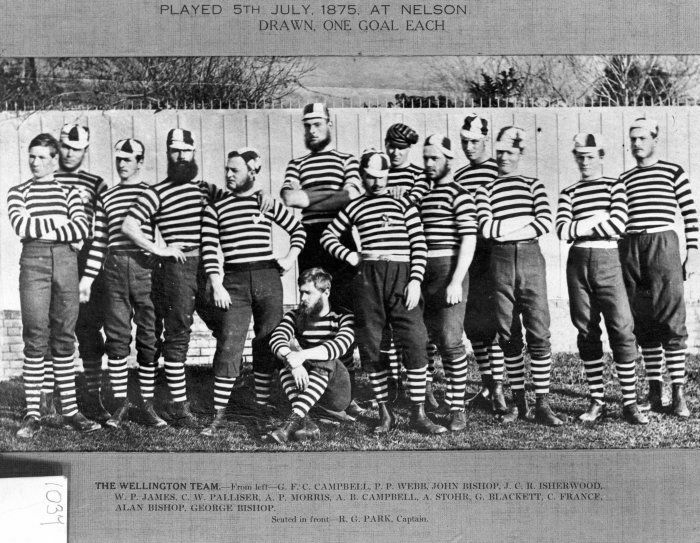 On 30 May 1868 a notable event occurred in the small town of Nelson: the formation of The Nelson Football Club which, within two years, became the Nelson Rugby Football Club. This was something that in time would affect the whole of New Zealand. Robert Collings Tennent was responsible for the formation of the Club. Tennent was born to British parents and immigrated to New Zealand with his widowed mother to settle in Nelson in 1865.1 Tennent was completely sports minded and, at the age of 19 shortly after moving to Nelson, he managed to get enough young Nelsonians sufficiently interested to join with him to form the club. 2 The Nelson Football Club was established to offer young men the chance to take part in healthy sport. 3 Once given the chance to play rugby, Tennent was committed to the game, and remained so until his death in Woodville, near Palmerson North, on April 14 1939. The game first played by the Nelson Football Club was a hybrid one: a mixture of association football and Melbourne rules, using the traditional round ball.4 This type of game was played for the next two years. In January 1870, Charles John Monro introduced the game of rugby to Nelson. On Saturday 14 May 1870 the first proper game of rugby played in New Zealand took place at the Botanics in Nelson. 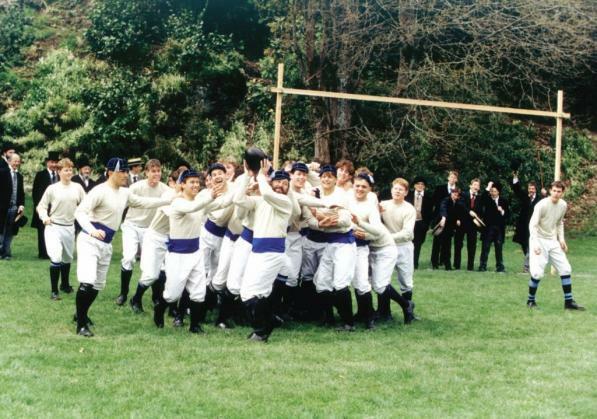 The rugby game featured the Nelson Rugby Club against Nelson College, with 18 players a side, using an oval Gilbert rugby ball, which Monro had brought back from England. After an exciting match5 the Nelson Rugby Club came away with a 2-0 win. The players and the Nelson crowd went home apparently unaware of the significance of the game. The Nelson Football Club was officially recognised as New Zealand's first Rugby Club, after a rigorous investigation by the New Zealand Rugby Union historian Arthur C. Swan in 19636. The Christchurch Football Club was the first to form, in 1863, however the Nelson Football Club was the first to formally adopt Rugby as its game, early in 1870, and today the Nelson Rugby Club stands as the oldest rugby club in New Zealand. This, and the fact that the first rugby game was played at the Botanics in Nelson in May 1870, has been a very important part of Nelson's history. In addition, the Nelson Rugby Club had a huge impact on New Zealand's rugby during the early days, initiating the first inter-club and inter-provincial rugby games, and the club still continues to run today, 140 years after the first game here. Charles John Monro, born at Waimea West, 20km south of Nelson on April 5 1851, was responsible for beginning rugby in New Zealand. In 1867, aged 16, he travelled to England to finish his schooling. Monro was a very independent and sporty boy who attended Christ College, Finchley, where he played rugby for the second XV. 7 In January 1870 Monro returned to his hometown of Nelson to farm, rather than pursuing a British army career.8 He not only brought his great passion for the game of rugby with him to Nelson; he also brought back a set of 1868 Rugby Rules and four Gilbert oval rugby balls. He is rightly accepted as the 'father of rugby in NZ', and Nelson is credited as the birthplace of NZ rugby. The Nelson Football Club was established in 1868 while Monro was studying in England. On his return to Nelson in 1870, Monro suggested that the club adopt rugby under his tuition,9 and he taught the club members and students of Nelson College the new game of rugby. On 12 May 1870, the Club formally adopted the game under the rules of rugby and became the Nelson Rugby Football Club. Monro organised the first game of rugby in NZ on 14 May 1870 at the Botanics, where he played for the Nelson Football Club and coached the Nelson College team. The Club won 2-0. 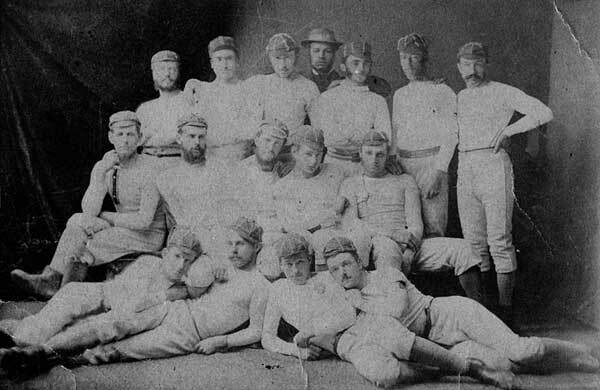 Later in 1870, on a trip to Wellington, Monro picked and trained a Wellington team to play his visiting Nelson Club team. This game was played at Petone on 12 September 1870, with Monro refereeing the game and playing for Nelson, which won 2-1. It was the first ever interprovincial match of club rugby in New Zealand. Shortly afterwards, on 12 May 1871, the Wellington Rugby Club was formed and the Nelson RC v Wellington RC game became an annual feature, alternating cities. Alfred Drew, the 1870 Nelson Captain, then introduced rugby to Whanganui in 1872 and Taranaki in 1873. The spread of rugby as our national game in New Zealand had begun from Nelson. Rugby in New Zealand continued to grow rapidly. By 1890 the game of rugby had been established all over the colony with over 700 active clubs.10 Provincial Unions formed across the colony, with 16 major unions in existence by the time the NZFRU formed in 1892. The first overseas team to play rugby in New Zealand came from New South Wales, in 1882. This was the start of rugby as an international sport for New Zealand. In 1888, the first British team arrived to play rugby in New Zealand and the first NZ rugby team toured Australia and Britain later that same year. By the time Charles Monro died on 9 April 1933 in Palmerston North, having moved there in 1888, his rugby game had become a truly international sport played between a dozen countries, and was an Olympic sport from 1900-1924 [and returning as a demonstration sport as 'Sevens' in the 2016 Rio Olympics]. Rugby's birth in New Zealand is rightly credited to him, as he brought the game of rugby over from England in 1870. Today rugby is a central part of NZ culture and a popular international sport that is still played by many New Zealanders. There have been an immense number of changes to the Nelson Rugby Football Club since its establishment, which has expanded 300% in size since 1949. A crisis for the Club occurred in 1915-1919 during World War I. All of the club members were absent when the Club's Annual meeting was called, as they were overseas serving their country at war. 11 The Nelson College Old Boys were in the same position and the two clubs joined together to form the Whakatu club. This allowed the Nelson Rugby Football Club to continue, and the agreement continued during World War II. There have been a lot of changes to the game of rugby itself, since it was first introduced to New Zealand. When it was first played in Nelson in 1870 it was no points for a try, one point for a goalkick and three points for a drop kick. However today a try now is worth five points and the drop kick still stands as three points. Many other small changes have been made - for example now there are 15 people on each side, instead of the captains deciding the number of players and the rules of the game have generally become a lot more complicated. Another change that has affected the Nelson Rugby Football Club is how people spend their Saturdays. When rugby began, Saturday was a sports day; there was no Saturday shopping and for most people it wasn't a working day. Today, for some people, Saturday continues to be just another working day. The Nelson Rugby Football Club also has to compete for members with a wide range of other sports. When the Nelson Rugby Club was first established, boys could only choose rugby or soccer. The Nelson Rugby Football Club's financial situation has also changed over time. When the club was first established it was subs and raffles in local hotels that continued to keep the club running. Today, however, the Nelson Rugby Club requires major sponsorships in order to keep up with the increasing demands on running costs. The Nelson Rugby Football Club has survived many changes over its history, which have had a major effect on the club. These changes are ongoing, and continue to affect the Club's survival. Want to find out more about the New Zealand's first rugby club ? View Further Sources here. Akers, C. (2008) Monro : the life and times of the man who gave New Zealand rugby. Palmerston North, N.Z. : C. Akers. Reed, W.A. & Swan, A.C. (1969). 100 Years of Rugby - the Birth and Evolution of our National Game, The Story of Nelson Rugby Football Club 1870-1969, Nelson, N.Z., Nelson Rugby Football Club. Turley, A. (2009). Rugby-The Pioneer Years, How Rugby Captured the Heart of a Nation, Auckland, N.Z. : Harper Collins.